Do you want to learn how to use your home computer more effectively? Want to find out how an iPad or iPhone can make your life easier? Visit Connection Pointe and discover how assistive technology for the blind and visually impaired can open up new worlds of possibility for you or your loved one! 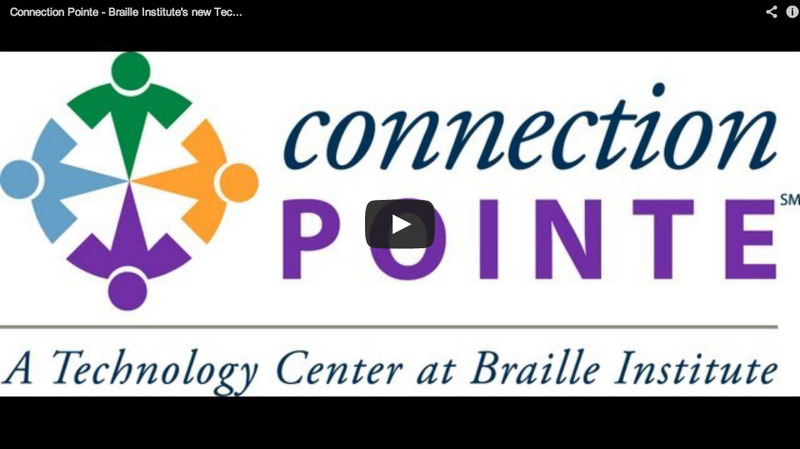 Connection Pointe is Braille Institute’s brand-new, state-of-the-art technology center that offers free instruction on all of the latest mainstream and adaptive technology and devices so blind and visually impaired clients can connect to the world around them. We can take you from technology novice to technology whiz in no time! Learn how to use assistive technology and adaptive devices to make using computers, much easier! Call 1-800-BRAILLE (272-4553), Monday – Friday, 9 a.m. to 4 p.m. (PST), or contact the Regional Center nearest you to schedule an appointment! Already own a smartphone and want to learn more? Find out about Braille Institute’s own Mobile Apps.